Rimini played a key role in the project. 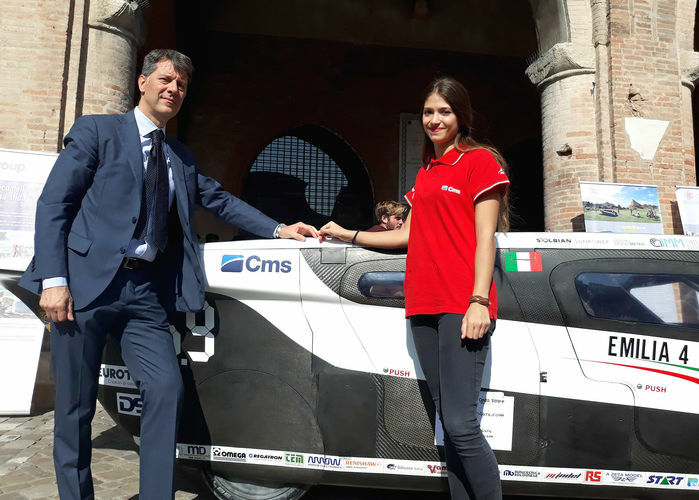 And in Rimini - where it arrived after winning the American Solar Challenge - the first "made in Italy" solar powered 4-seater was hailed by a crowd of enthusiasts. 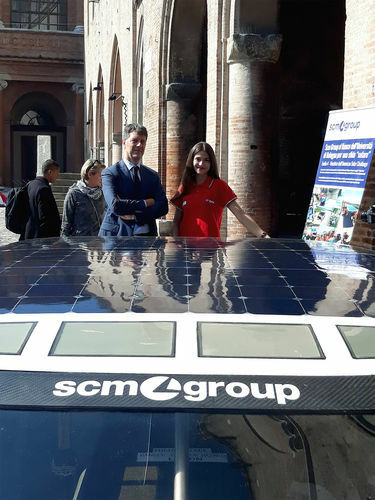 "Emilia 4", the car born from the advanced industrial research project developed and implemented by the University of Bologna and the Onda Solare ("Solar Wave") Team, with Scm Group as the technological partner and leader of the project, was presented to the city of Rimini by Prof. Giangiacomo Minak, also from Rimini, a member of the Solar Wave Team who critically contributed to the technological success of the vehicle. 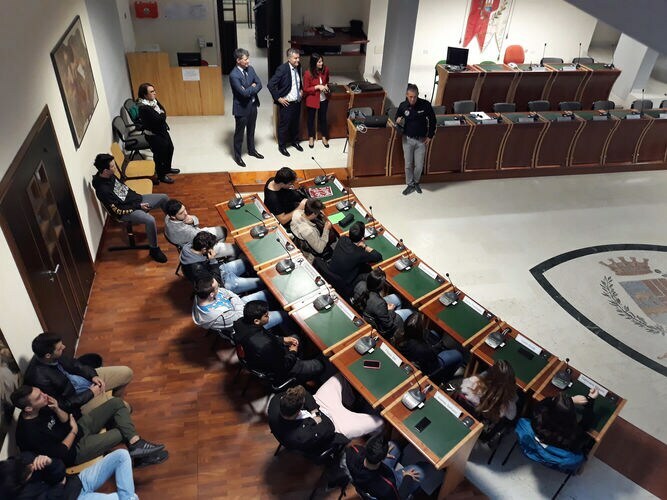 The first major event of this day of celebrations, organised by the Mobility and Environment Councillors of the Municipality of Rimini, was the meeting, in the Council Hall, with a delegation of about a hundred students from local high schools and vocational schools, to whom Minak illustrated the car's technological assets. He was assisted by the Scm Group's Innovation Director Federico Ratti and by Denise Dujmic, the Group's R&D Specialist, who illustrated the support given to the project by the Company, in particular through the Cms Advanced Materials work centres, now used in the aerospace and defence, naval and automotive industries (to name a few of the top industry players: FCA, Toyota, BMW, Jaguar Land Rover and top Formula 1 teams) for the production of components, high-precision styling models and carbon-fibre parts. "Thanks to continuous investment on research and innovation by the Group (equal to 7% of its turnover every year), and in particular to CMS technologies, we were able to make our work centres available for bodywork, structural and carbon fibre chassis machining,"explained Ratti. And, even before that, the project was supported by the Group's Industrial Research Centre, which provided the know-how developed by its technicians and engineers, including Denise Dujmic, who was also with the team during the Onda Solare ("Solar Wave") adventure in America. "The decision to apply our technologies to cutting-edge projects such as this solar-powered electric car - added Ratti - stems from our desire to meet the process requirements of our current partner industries, to then develop the innovative solutions best suited to our machines and increasingly streamline their operation. Our Group strongly believes in the importance of investing in the technologies of the next three decades - designed to potentially respond to so many industrial and scientific challenges. We look ahead, in order to eventually apply the technological breakthroughs in which we've chosen to invest, such as Emilia 4, to our standard products." 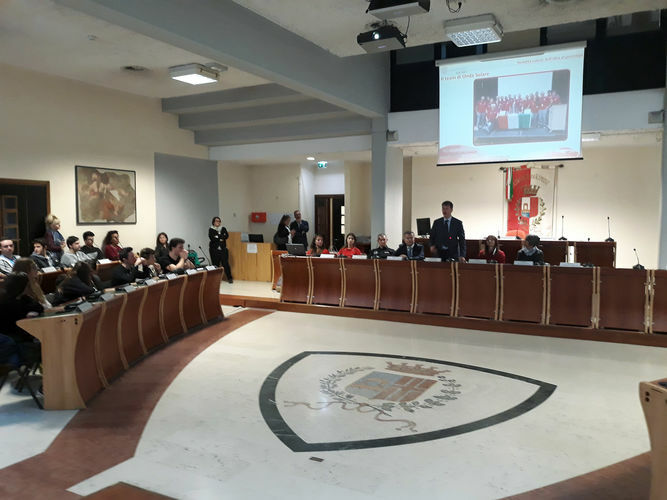 The meetings with the students and, later on, with the local press, were also attended by the Director of Uni.Rimini Lorenzo Succi, who stressed the importance of the Onda Solare ("Solar Wave") project as "the best demonstration of how public organisms, individual professionals and enterprises can successfully cooperate to support innovation. Uni.Rimini, as the managing organisation of Rimini's Tecnopolo, works actively toward this goal, and today is pleased to celebrate this unique project of outstanding technological interest, especially in terms of materials, of which the University of Bologna and the Scm Group were key promoters." 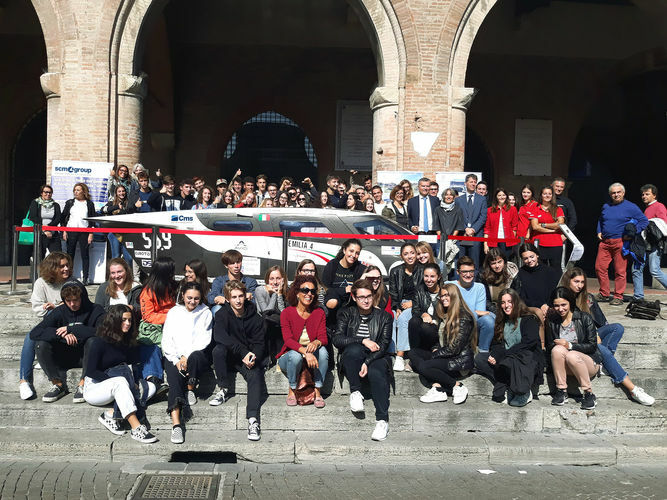 "Emilia 4" was on display all day in Piazza Cavour, opposite the Town Hall, before leaving for other cities and new destinations.